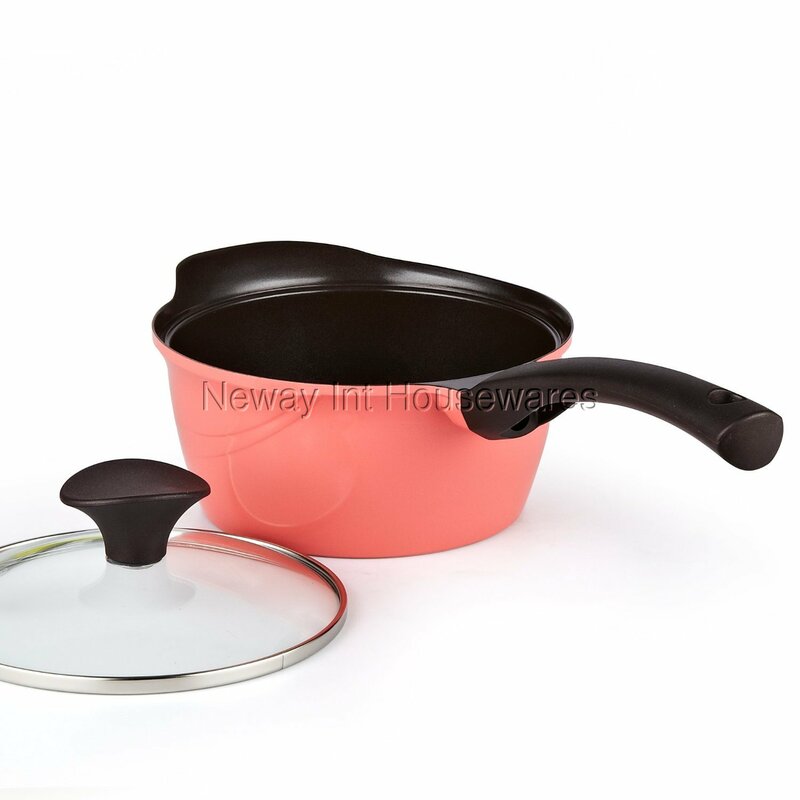 The Cook N Home 1.7 Quart Nonstick Ceramic Coating Die Cast Sauce Pan with Lid, Pink has a ceramic coating that performs better than common nonstick and is PTFE and PFOA free. Made of aluminum for even heat distribution. Tempered glass lid with steam vent makes viewing food easy. Bakelite handle stays cool and is comfortable. Not Induction compatible and not oven safe. Works on gas, electric, glass, halogen, ceramic, etc. Dishwasher safe. Dishwasher safe, Not for Induction stove, works on gas, electric, glass, halogen, ceramic, etc.